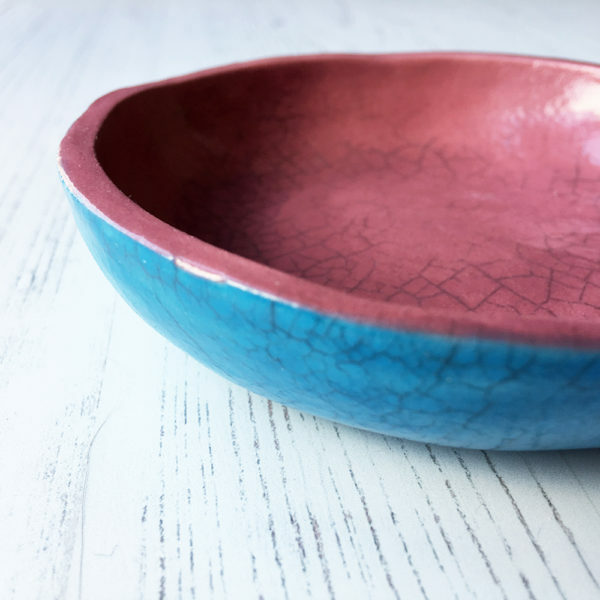 Featuring a gorgeous wide ring dish in lush pink and turquoise (or pinch dish) measuring four and one quarter inches across at it’s widest, and approx one inch deep. 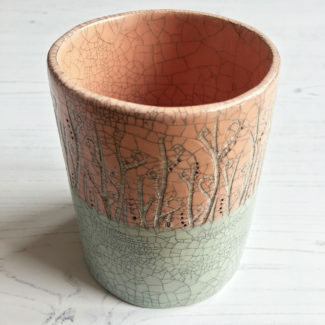 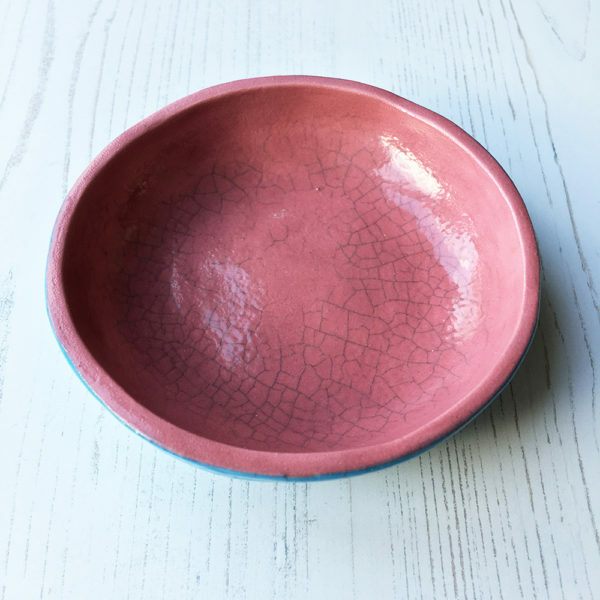 The dish is made from white earthenware clay that is glazed using a deep pink crackle glaze on the inside and turquoise crackle glaze on the outside. 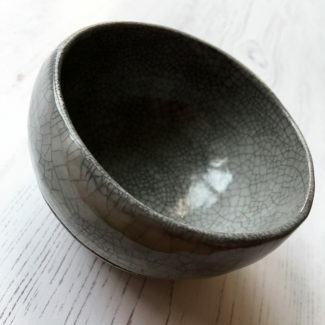 The dish has been highlighted with black indian ink to bring out the crazing/crackle. 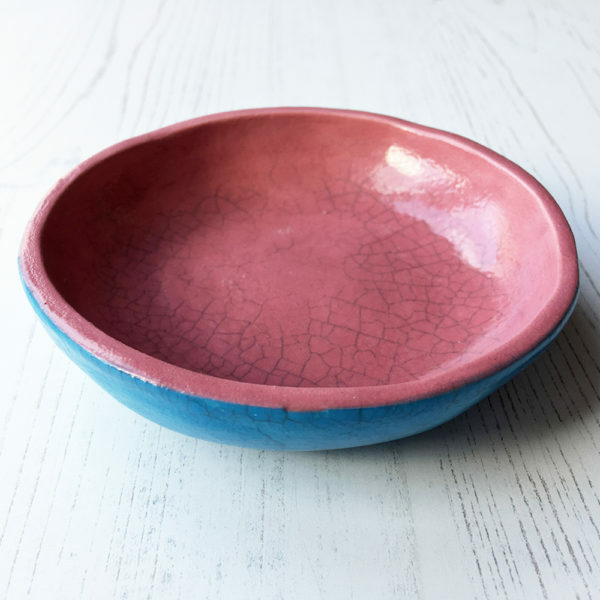 The dish is for decorative purposes only and not suitable for food. 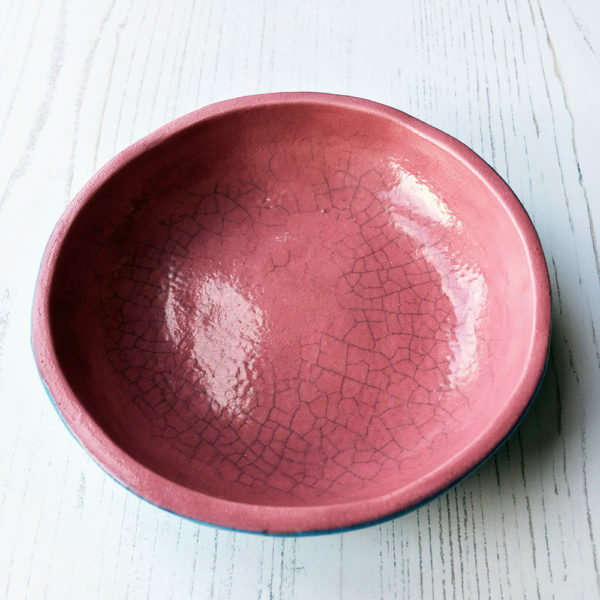 This dish is hand built and not wheel thrown, and will include some individual features. 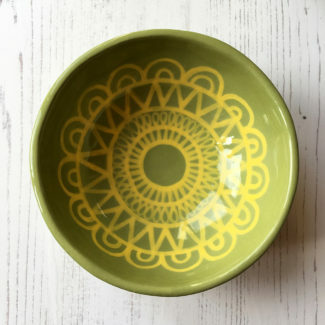 This adds to its charm, and makes it one of a kind.